Tracey Kim Roberts was born February 27, 1961 in Balmain, Sydney, Australia, to David Roberts and Pamela Bilsborough and spent many weekends during her childhood at the home of her grandmother Leone Bilsborough and her uncle, Peter. Eleven years her senior, Tracey looked up to ‘Uncle Pete’ like an older brother. Sure he enjoyed teasing his nuisance niece but they had a close-knit bond. As adults they continued their friendship and Peter was someone Tracey could always depend on. 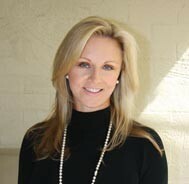 Tracey became a Sydney based Art Dealer and Peter, a highly respected builder on the northern beaches. On Easter Sunday 2010 Tracey got a phone call that shattered her to the core. Pete had been in a tragic surfing accident at Palm Beach and was in Mona Vale Hospital on life support. Respectful of Pete’s choice to not live as a ventilated quadriplegic, Tracey helped care for him during the last four months of his life and plan his last days. Trained as a cognitive behavioral counselor and a Life Line volunteer, Tracey’s compassion and understanding shine through the telling of Peter Bilsborough’s courageous last battle. By writing Pete’s story Tracey hopes to raise awareness of those who struggle daily with disability.